Cardiff-by-the-Sea is a beautiful Encinitas seaside community bordering Solana Beach—perfect for those who enjoy surfing and sun! If you’re moving in the area, you’ll be glad you found Coast Valley Moving & Storage: the Cardiff moving company people trust! Since 1972, our full-service Cardiff moving and storage professionals have been providing a wide range of household and commercial solutions for area residents. Full-service local and long-distance moving. Specialized moving for fragile and heavy items. Complete packing and custom crating options. 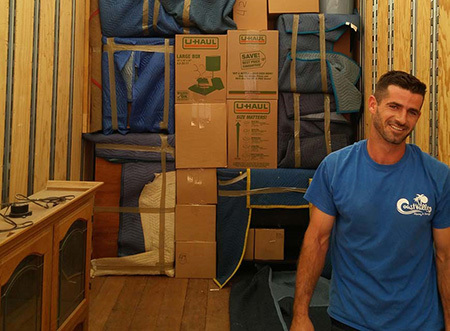 When moving long distances, our Cardiff moving company will get you there simply and on-time. We will assign you a personal move coordinator who will help you develop a custom moving plan and work with you each step of the way to ensure your complete satisfaction. Plus, benefit from the industry-leading resources of not only our full-service moving company, but also the added support of our strong affiliation with Wheaton World Wide Moving. As the Cardiff interstate moving agents of Wheaton, we deliver end-to-end service for relocations of any distance. Office movers with specialized moving expertise. Full-service packing, delivery, and furniture assembly/disassembly. Seamless corporate relocation service options for your employees. As a full-service Cardiff moving and storage company, we offer flexible storage solutions for residential and commercial needs. Store your belongings safely for as long as you need in our state-of-the-art warehouse facility, complete with all the features you’d require including: advanced fire and theft protection systems and secure storage for sensitive items. Request Your Free Moving Quote Today! To learn more about what makes Coast Valley Moving & Storage one of the most trusted Encinitas movers Cardiff-by-the-Sea residents rely on for local and interstate relocation solutions. Give us a call today to speak with a knowledgeable representative. You may also use our online form to request your free, no-obligation estimate!